2019 General Information for New Riders and those Interested in BMX! If you or your child want to ride and race BMX, just come on by any day we are open, wearing a long sleeve shirt, long pants (or elbow pads and knee pads and shin guards if you want to wear short sleeve shirts and shorts), and sneakers. Thursdays: Open Practice: 6-8 pm. All ages are welcome and represented! Bring your full-face BMX helmet, and park or race bike: no pegs, kickstands or reflectors, and hand brakes only. If you dont have these items, we have loaner helmets and bikes available for $5, first come, first serve. You need a USA BMX membership. $60 for pedal biker and $30 for a balance biker, good for one calendar year from sign up, open enrollment all year. You can purchase memberships at the track, or on-line at www.usabmx.com. Consider crediting your membership with us: T.R.A.C.K. BMX, Track # 1833, and make us your "Home Track." (We get "track points" for that, and it helps our rank among the 300+ USA BMX tracks scattered throughout the USA and Canada). Not ready to commit? we offer a 1 time, 1 day membership. Once you have your membership, you can race and practice at any USA BMX track. There are four tracks in CT alone! (Trumbull, Bethel, Meriden, and Torrington). Whatever home track you choose, you will be part of a great local community, and part of the greater national and international BMX family! Remember that if you are new, whatever track you get your 1 day membership at, will be the track you will call your home track for your FIRST membership year. Private and Group Lessons: We start our season in May with a six week Beginner BMX program, and private lessons based on rider and coach availablility. After that, our BMX Coaches continue lessons based on demand. Please Contact Coach Chris Gombos with coaching questions: 203-257-4988, or email: intro2bmx@gmail.com . Practices: You can come to all or any of the offered open practices: Open Practices are "mixed" ages and mixed levels of riding. We have a specific area for Striders outside of the main BMX track, and encourage striders to use the main track too. Parents are encouraged and expected to be on the main BMX track if their strider child wants to ride sections of the main BMX track. Thursday Evening Open Practice: $5, 6-8 pm. Saturday Morning Open Practice: $5, 10-11:30 am before regular single point races, (10-11:30 am before multi-point races), Tuesdays Evenings in the summer: 5-6:30 pm. *These times are subject to change based on special events or cancellations. So please check our facebook page regularly for most up-to-date information. Tuesday Nights (Summer), $8/race (this price includes your practice time before the race starts), 7 pm race start time. Registrants are grouped by age and ability (novice, intermediate, or expert). 3 riders minimum to 8 riders maximum, make up an individual race or 'Moto.' Depending on the number of registered riders, and number of Motos, the total race event lasts from 1 hour to 1.5 hours, with three races for each of the Motos. Each Moto takes about 30- 45 seconds to complete from start to finish, and once a moto starts, the next group of riders waits to start until the first group completes about 1/2 the distance of the track, repeated until all motos are run. This is accomplished by an electronic "drop gate" system for each of the motos, moderated by an announcer, stager and gate operator. Strider Rider Practice and/or Racing: (kids who ride "push bikes" or "balance bikes," ages from 2-5 years old) are welcome to all open practices, $5.00. They are also welcome to race on race days for $5.00 (Practice included). They race "first" by starting each of the three Motos for regular event, or during a multi-point race, they begin each of the transfer motos and the Main Event. Striders receive a ribbon or sticker after the race, and do NOT earn points for their racing until they move up to pedal biking. On a regular race day, parents/guardians can upgrade to a trophy, 1st through 3rd place, for an additional $5.00 to commemorate the race. Any USA BMX member can register for any regular or special races: There are also special events and 'multi-point' races and state series, and regional series and National series peppered through the season at various tracks, across the state and country, offering multiple levels of BMX race competition, and personal rider ranking on a local, state, regional, national, or world level. Volunteering: We need lots of people to make this program strong and well run! We are a non profit, public charity, sports program that relys on its membership and parent and family volunteers. 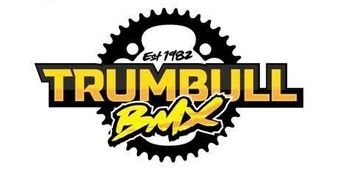 Please contact chris at: TrumbullTrackBMX@yahoo.com with questions or call/text 203-452-0315. Looking forward to an AWESOME 2018 BMX Season!